A 40-year-old Medford man died earlier this month in a Cape Cod, MA drowning accident at the Bayside Resort Hotel in Yarmouth. This is the second swimming fatality at the hotel in four months. According to the media, first responders started administering CPR to Thomas Flynn at the scene. He was later pronounced dead upon arrival at Cape Cod Hospital. Police say that a young hotel guest discovered him at the bottom of the pool’s shallow end. Bystanders pulled him out of the water. Gregorio “Junior” Ortega, a 20-year-old from Lawrence, Massachusetts is in a coma after he almost drowned in a wave pool at a New England water park. According to relative, the near drowning happened while Ortega was attending his 13-year-old’s brother’s birthday. The swimming accident occurred around noon while Ortega was in the wave pool at Water Country park. His cousin, Nicole Villafane, says that that he struggled in the water for some time before he was rescued. She believes that the wave pool was too crowded that day and there should have been more than four lifeguards on duty. The lifeguards and park staff performed CPR on Ortega until firefighters and paramedics arrived. According to Portsmouth, N.H. Fire Chief Steven Achilles, it is not uncommon for the fire department to get calls at least once or twice a week during the summer about injuries that occurred at the park. According to the U.S. Consumer Product Safety Commission, media reports reveal that between Memorial Day and Labor Day of this year there were at least 137 child drowning deaths and 168 near drownings (serious enough to warrant emergency help) in US pools and spas. 54 of these drownings took place not long after the victim had left the proximity of a grownup in the immediate area. 31 kids drowned even though there were people in the pool with them. At least 100 of these children were under the age of 5. Seeing as drowning is the number one cause of accidental death among kids in the one to four age group, these latest figures are, unfortunately, not surprising. Our Boston swimming accident lawyers represent children and their families with claims and lawsuits against negligent parties that either directly or indirectly caused a child’s injury or death. Depending on the specifics of what happened, possible liable parties when drowning in a spa or pool is involved may include the pool/spa owner, the manufacturer of a defective pool or spa part, or the party that was responsible for supervising the victim at the time of the accident. Altman & Altman LLP is experienced in handling cases involving the Massachusetts personal injury areas of premises liability, negligent supervision, and products liability. We also handled drowning accidents and deaths involving adult victims. 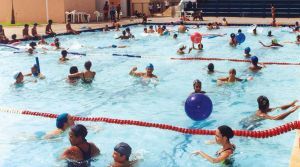 In a report that it issued earlier this year, the CPSC noted that during the summers of 2007, 2008, and 2009 about 243 kids drowned in spas or pools each season-with about 390 child drowning deaths ultimately reported for each year. Also, for 2009, 2010, and 2011 on average there were about 5,200 spa- or pool- related submersion injuries that required ER care each year. Once again, kids under age 5 made up the majority of the reported child deaths and injuries. Raphael Perez, 18, drowned in a pond in Myles Standish State Forest last night. At the time, the Brockton teen was on a camping trip with a Seventh-day Adventist church from Fall River. According to State Police, Perez became “distressed” during his swim in Charge Pond. He was pulled out of the water after the Plymouth, Massachusetts drowning accident and CPR was performed on him. The teen was then taken to the hospital where he was pronounced dead. Perez’s sister, Monica Perez, said that brother drowned while helping another struggling swimmer. Monica was not at the pond that night. The district attorney’s office is investigating the Plymouth drowning accident. Myles Standish is supervised by the Massachusetts Department of Conservation and Recreation. According to a department spokesperson, boating and swimming are allowed in Charge Pond between dawn and dusk, there are no lifeguards (signs are posted to indicate this), and there is a demarcated swimming area. Massachusetts drowning accidents can happen in pools, hot tubs, and in natural bodies of water. As our Boston injury lawyers have said in the past, it is important that the necessary care is exercised by those in charge of a swimming area to prevent or decrease the risk of a drowning. Obviously it is too soon to tell what happened at Charge Lake last night or if anyone should be held liable. For example, did the state do enough to exercise this type of are? How many fatal drownings have occurred there in the past? Could something have been done to prevent Perez’s drowning? Should the church group that he had gone camping with have done more to properly supervise the participants?